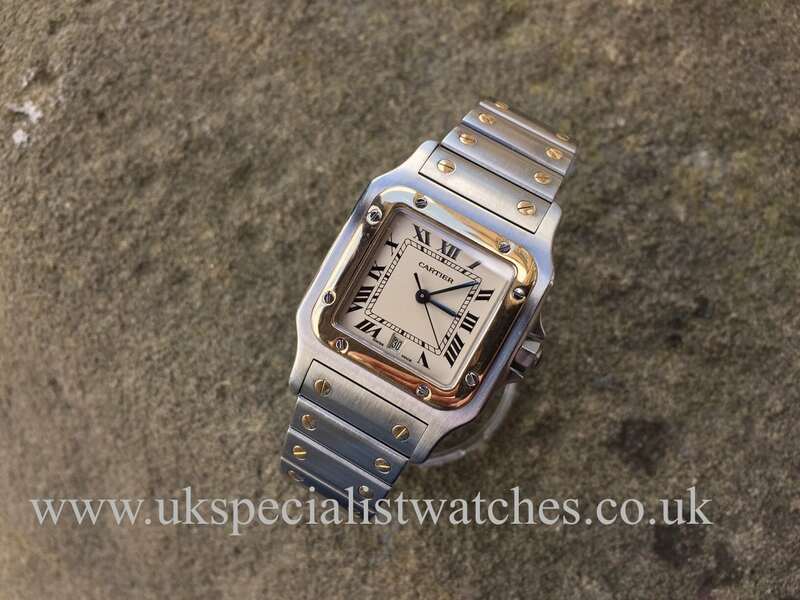 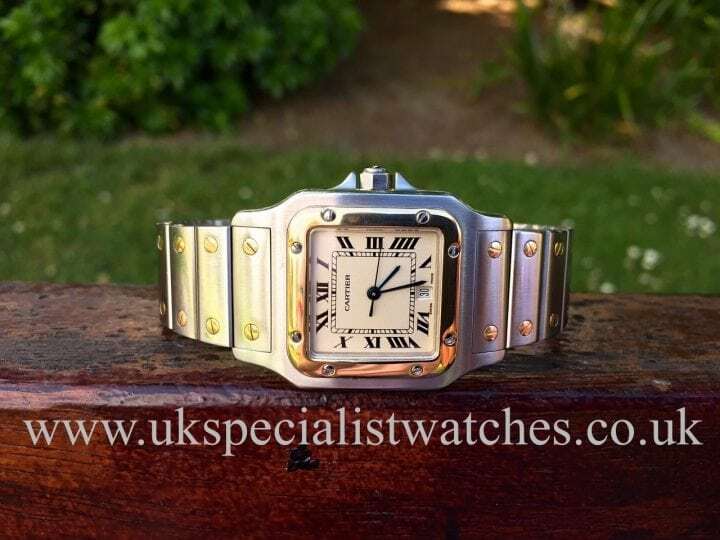 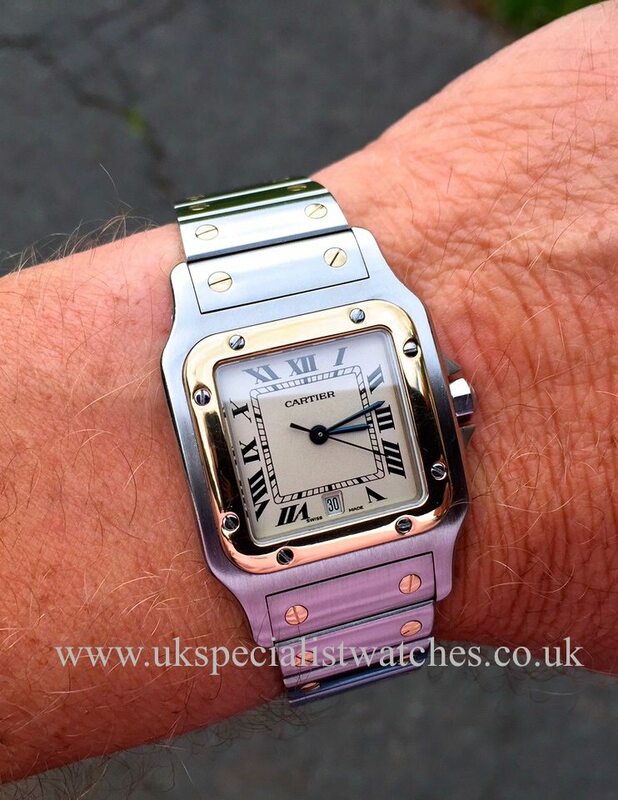 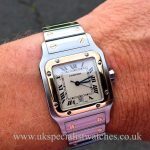 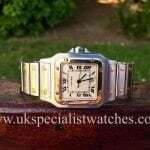 Here we have a classic Gents Cartier Santos Galbée with a stainless steel & Gold 30 x 40mm case Ivory dial and Roman numeral hour markers blued steel hands, date display at 6 o’clock, Screwed down 18ct Gold bezel. 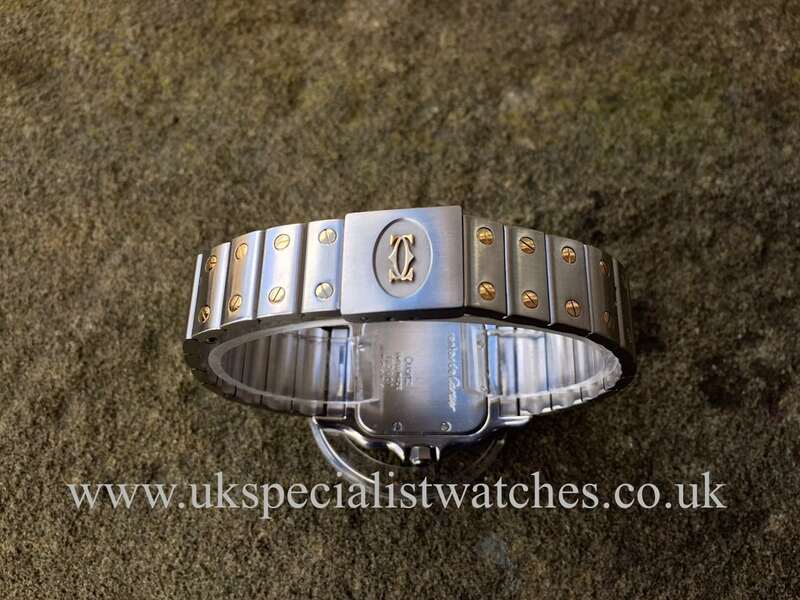 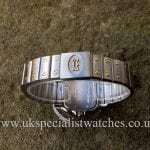 Steel bracelet with Cartier’s trade mark, 18ct Gold screw heads on each and every link and deployment clasp. 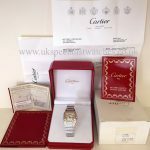 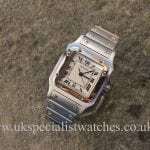 Our watch is in excellent condition and comes complete with all boxes papers, service history from Cartier, supplied new March 1999.